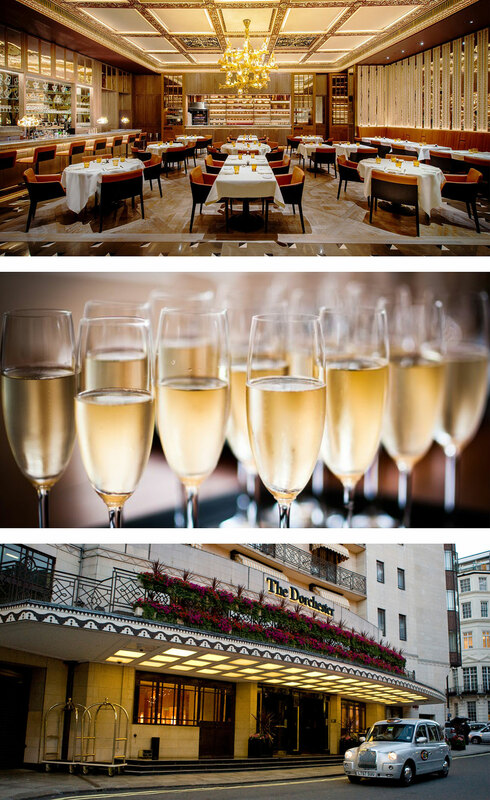 Executive Chef at the Dorchester Grill, Christophe Marleix, and Head of Wine at the Dorchester, Vincent Pastorello, put together a thrilling tasting menu to match four Coates & Seely sparkling wines for a select group of their clients. Each of the matches was inspired, but the highlights were perhaps the delicate citrus and white fruits of the award-winning Coates & Seely Blanc de Blancs ‘La Perfide’ 2009 with the Cod in Shellfish Sauce served with Celeriac Puree; and the richness of Coates & Seely’s Gold Medal-winning Brut Reserve NV with the Grill’s own ravishingly textured and rich ‘signature’ Pate en Croute. For Coates & Seely the evening was a platonic moment. For years we have worked tirelessly to produce wines that sing to their terroir; that night, they finally found their match. Thank you to Christopher and Vincent for putting us all together.